Flowers and chocolates are two common choices for gifts. Then why not combine these two awesome things and make something even more awesome? 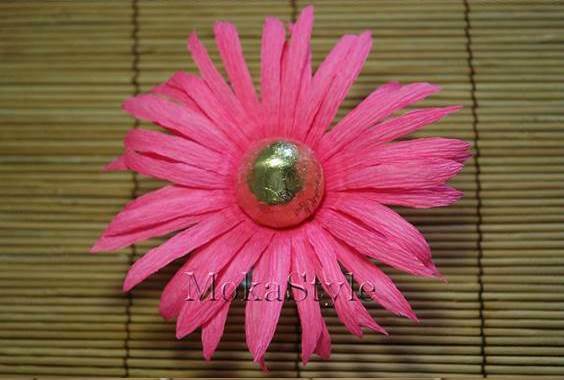 Here is a nice DIY project to make a crepe paper chocolate gerbera flower bouquet. Isn’t that gorgeous? 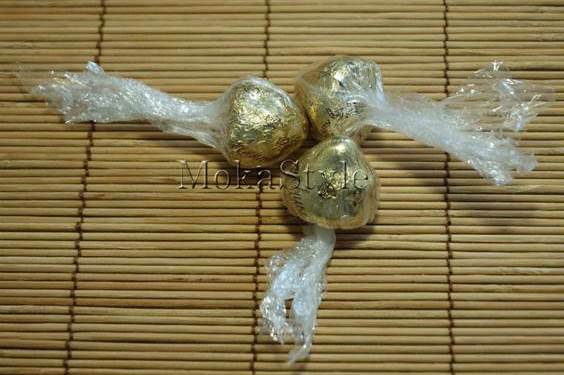 It’s very easy to make and all you need to do is just cutting the petals and wrapping the chocolates. 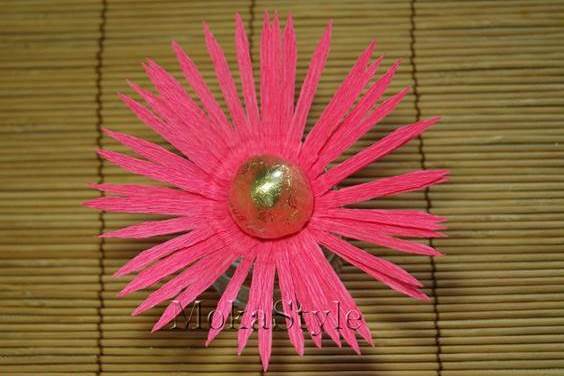 You can make it as a table centerpiece for wedding, or as a gift for Valentine’s Day, Mothers’ Day, Teacher’s day or any other occasions. It makes a nice home decor too! 2. 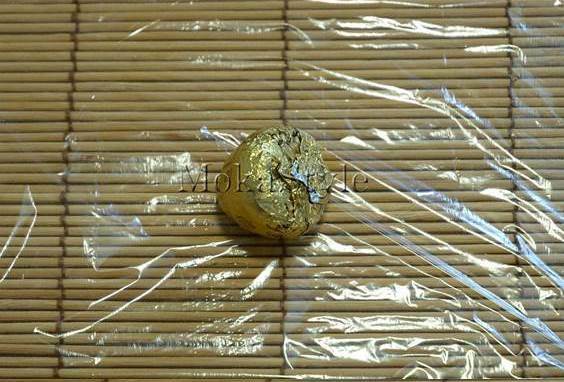 Wrap the chocolates with cellophane. 3. 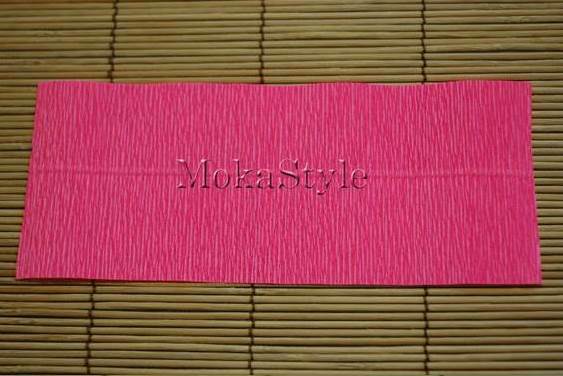 Cut a piece of rectangular crepe paper (size depends on the size of the chocolate). 4. 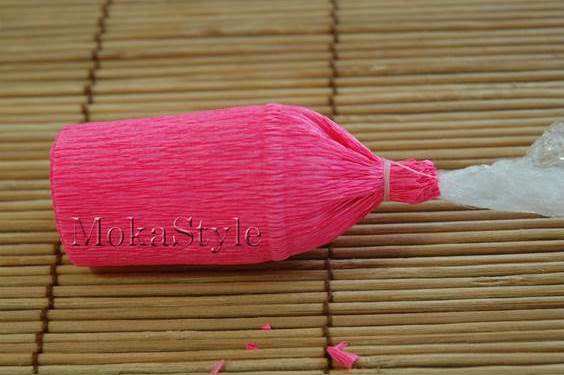 Wrap the chocolate in the crepe paper piece. 5. Tie one end with thread. 6. 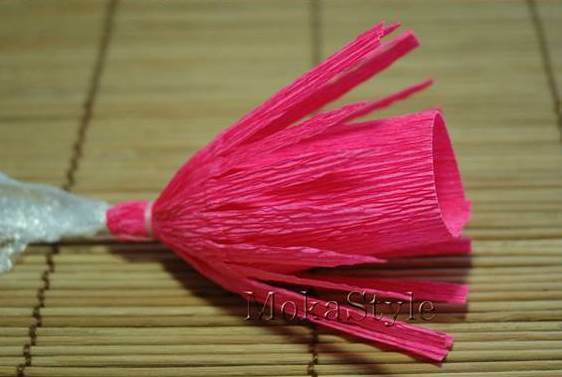 Cut the outer layer into fringes as the petals. 7. 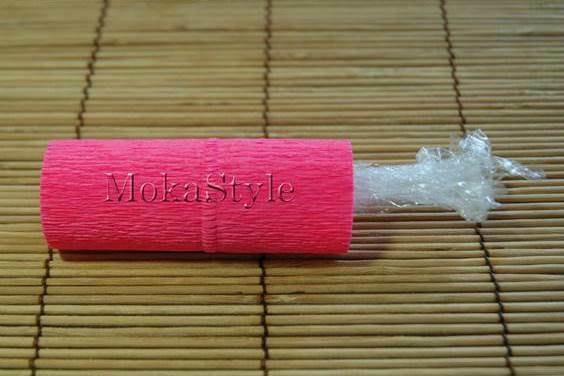 Twist the petals outward. 8. 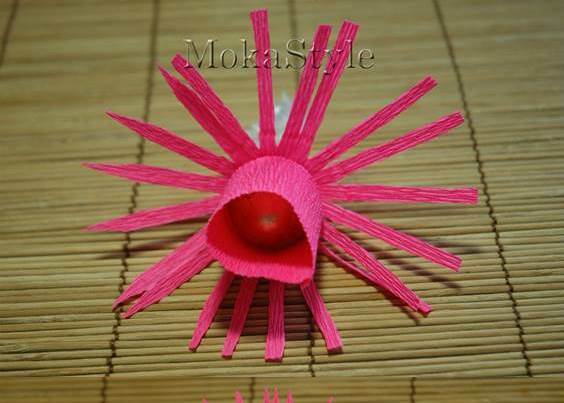 Cut the inner layer of crepe paper into fringes and twist them out. 9. 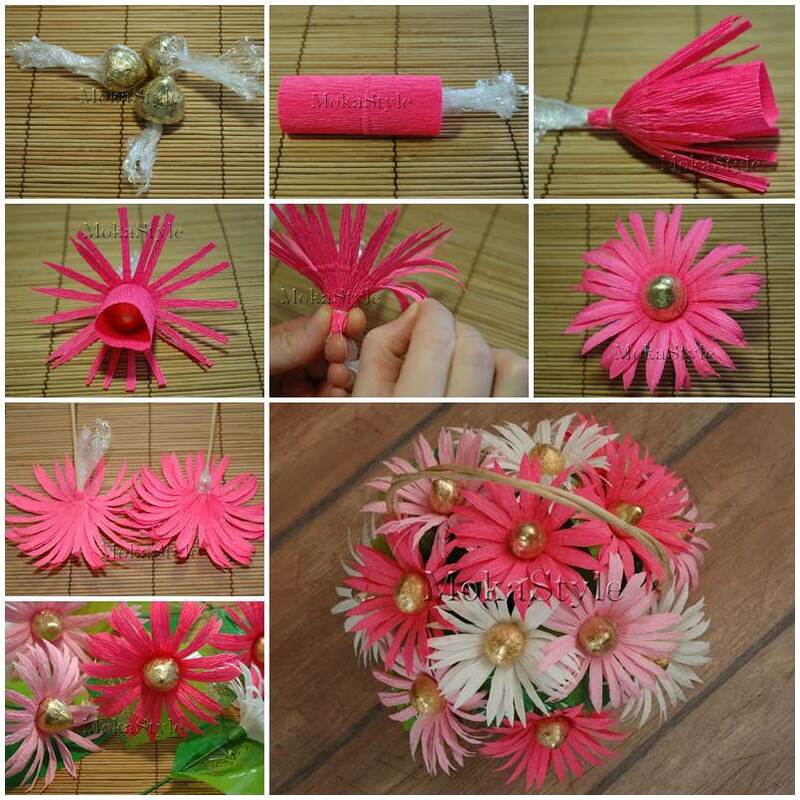 Press the petals with your fingers to make the curly. 10. 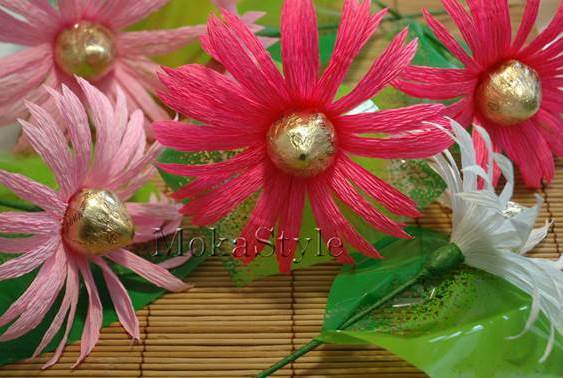 Insert the wooden skewers through the middle of the flowers. 11. 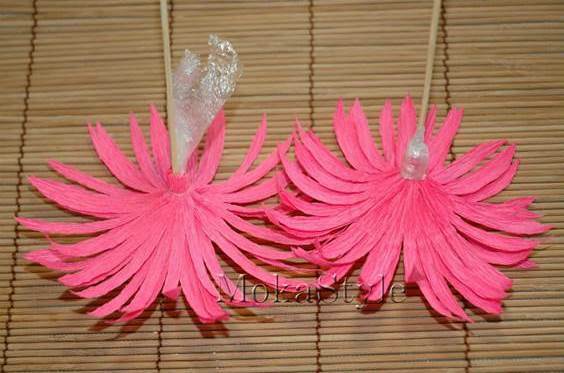 Make more flowers with different colors of crepe paper. 12. 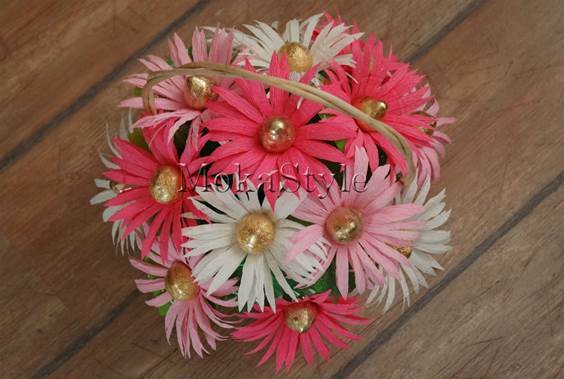 Place the bouquet of flowers in a basket. Enjoy! 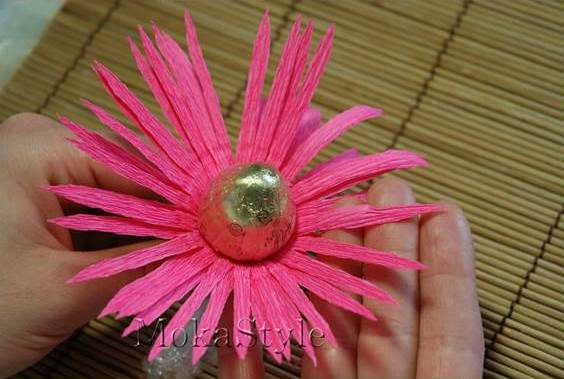 One Response to "DIY Crepe Paper Chocolate Gerbera Flower Bouquet"